One of our current projects in 2019 is this one – a fantastic undertaking by three British women to become the first all female team to climb the 82 4000m peaks in the Alps. 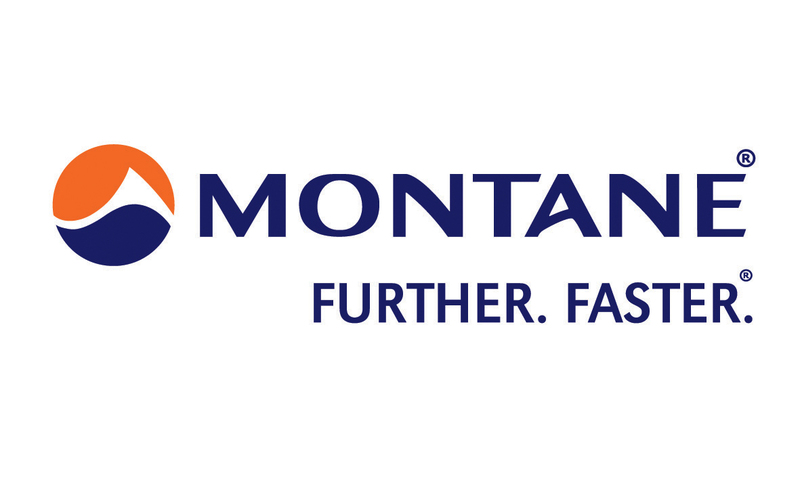 The film is being sponsored by The BMC and Montane and is being shot in three phases throughout the project. The film will be released into the festival circuit with timings dependent on the project progress. You can follow the progress on this page throughout the year. Phase one of the filming is complete. I headed out to Switzerland at the end of March and joined Becky and Lou to kick off the project. We battled heavy snow, avalanche risks, poor weather days, broken equipment and started the tally of 4000m peaks on skis. It was a challenging couple of weeks for me with a lot to carry and operating in some pretty cold temperatures – going through the footage now that I am home though it all feels worth it! 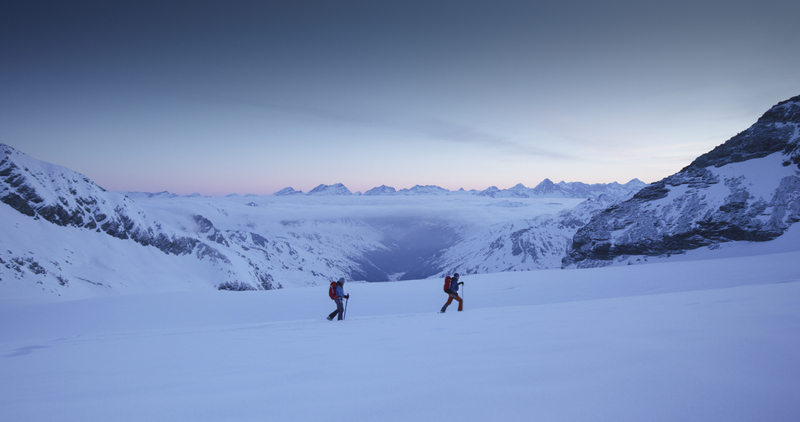 The image on the left is a screen grab from my Red Digital Cinema Camera in the pre-dawn light as we skin towards the summit of the Bishorn. The team are aiming to climb an average of five 4000m peaks per week which they need to juggle around work, real life, relationships etc. So far they are on target and you can follow their progress on their Facebook page – see the links below. In the build up to the first round of filming I have been kit testing, packing and sorting out systems in preparation for the shoot. I head out to the Alps to meet Becky, Lou and Mo on the 5th April, starting in Saas Fee, Switzerland. The first round of 4000m peaks will be climbed on ski and I know from experience that a heavy pack makes for a miserable day out ski touring, whilst a heavy camera makes for a beautiful film! 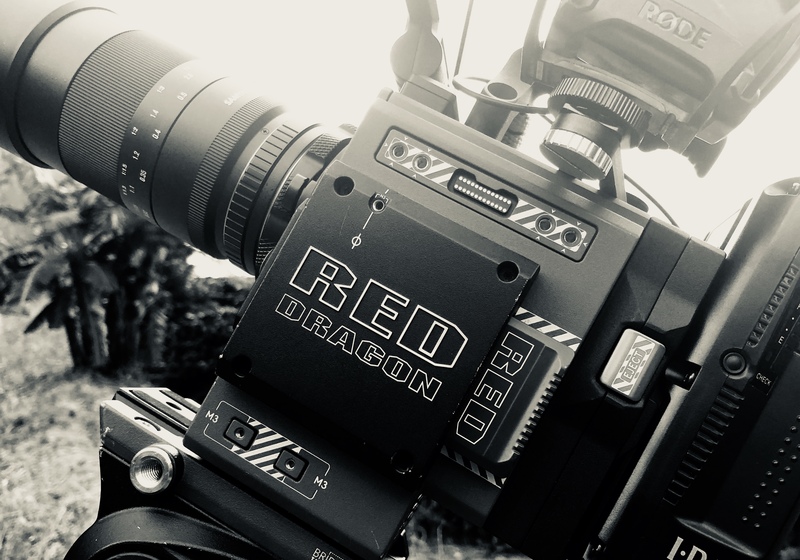 I am shooting the start of the project as a single person crew so need to juggle drones, a Red cinema camera, action cameras, sound kit and of course my ski mountaineering equipment. I can’t wait!